Half a world has spent years trying to decipher the psychology of Philip Roth and its contradictions: a very sharp talent, a satirist, a neurotic, a conservative man, a breaker, a misogynist, an obsessed, a nostalgic, an American and a Jew willing to carry all the bales of his two identities ... They are the fringes that adorn the fascination that has accompanied, for 50 years, the work of the most important novelist of his time, which only now ceases to be our time. Philip Roth has died Tuesday night in a hospital in Manhattan, New York at age 85 as confirmed by his agent, Andrew Wylie. The cause has been heart failure. Roth's life must be counted from one place and one moment. Roth was born in 1933 in Newark, the largest city on the other side of the Hudson River. Of Newark Roth counted that it was a city of provinces so apparent and so prosperous that the travelers who went to New York in bus they lowered themselves in its station thinking that those sophisticated and boisterous streets had to be Manhattan. Newark, many years later, was one of the scenes of the race riots of the 60s. The middle class and the white bourgeoisie of the city then fled there and left a sense of fallen civilization, a nostalgia that marked Roth's books as American Pastoral. The timing is also important: being born in 1933 means having spent childhood obsessed by the World War. Roth said that Norman Corwin, a poet stuck to a patriotic radio announcer, was the first great narrative impact in his life with phrases like "A Texas boy is thrown with a grenade to show a Nazi where the limit is". Many years later, that figure and that nexus would reappear subverted in The Plot Against America. The four grandparents of Roth had arrived in America in the great Jewish migration of Galicia. His parents had already been born in New Jersey as almost perfect Americans. And Philip, called afeter his maternal grandfather, was already one step away from being an ex-Jew, more or less oblivious to the dark and mystical world of his grandparents. He played baseball, he got good grades, he had girlfriends, he worked in summer and he got scholarships to go to good universities (Brucknell in his case). His years of college coincided with the golden age of the American publishing industry, the bohemian years of Greenwich Village: Mailer, Updike, Bellow, Gore Vidal ... The alpha males of the culture of his time. Roth, who had been fooling around with the theater, began to opt for the narrative in the university. His stories hit a key and the way seemed clear to an occupation that could not be more attractive. At what point was rarefied and enriched all? At this point in 2018 it is very wrong to say so, but everything is explained by a woman. A bad woman like those of the black movies of the 40s. Roth had graduated and started his adult life. Goodbye, Columbus had succeeded and the world seemed new to Philip. But then a waitress appeared a couple of years older than him, pretty and very blonde: an aspirational beauty for Roth, Jew and dark, who fell with her that he was not as completely American as he thought. However, that girl, Margaret Martinson, was 'defective material'. Unstable and angry, he did not control his emotions, he was regular with empathy, he drank a lot and, above all, he lied with or without necessity. One day, Roth found that they had entered the house and stolen his typewriter. Another day found the receipt from that machine in a pawnshop. Margaret was responsible for the theft and the pawn. Even worse was the story of their marriage: Margaret (who already had two children) taught Roth a urine test that said she was pregnant. Roth thought about it and proposed marriage on one condition: that she should abort. Margaret agreed. Roth gave her money for the intervention and she went to the clinic alone. After months, Margaret, drunk, recognized Roth that she had never been pregnant, that urine from the test had been purchased from a homeless woman who was pregnant and that the day of the false abortion she had gone to the cinema to see I want to live!, by Robert Wise. The divorce was very expensive. And Roth did not find a bit of peace until he fell into the hands of a Viennese psychoanalyst who channeled his rage and stupefaction. The novel When She Was Good (1967) obviously dealt with Margaret. But more important was Portnoy's Complaint, the 1969 novel, as an expression of that pain. Its protagonist was a compulsive masturbator, obsessed with his mother and neurotic, a kind of dark Woody Allen. 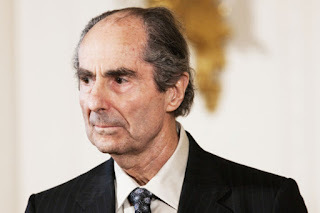 Roth, who until then was in the category of young writer with a good hand but who has not just found his record, found a very remarkable success. When he walked down the street, the workers made obscene gestures treated him like the crazed masturbator of his novel. The public image of Roth, that of the cantankerous and misogynist obsessed, was shaped in those days. Roth Unchained, the biography of Claudia Roth Pierpont (Random House, 2016), belies that fame a little. The Roth of the 70s and 80s appears in its pages, as a reasonably happy man: an influential writer who related to women with reasonable success to the point that he married a strong and attractive woman, the English actress Claire Bloom (17 years of reasonably happy marriage and a reasonably unhappy divorce), who moved to London and built an enviable network of friendships that were open to the world. Czechoslovakia became one of his obsessions. He traveled several times to the other side of the Iron Curtain and became one of the public advocates of the Czechoslovak writers and dissidents in the West. That and literature, of course. During the 70s, Roth alternated findings, failed books and moments of blockage. He played political satire (Our Gang) and the absurd (The Breast). And, above all, he invented Nathan Zuckerman, the alter ego who narrated many of his novels, the distant and complete but not entirely serene observer who united works such as The Ghost Writer, The Anatomy Lesson and, many years later, Pastoral American. In the pages of American Pastoral appears the story of The Swedish, a kind of anti-Gatsby of Newark: kind, educated, hardworking, faithful husband and good father ... His only daughter had a couple of problems: stuttering and the overwhelming weight of having a father so exemplary. And, therefore, a seed of rage was growing in her. Then, the 60s arrived and that aspiring suicidal virgin found the cultural framework to surrender to that fury. Against America first, against her father later and against herself in the end. The 60s, the age of innocence for those who did not live that time, is portrayed in American Pastoral as a slide towards collective madness that ends with the self-destruction of Newark. Roth's conservative fame comes, probably, from here. American Pastoral was part of an American Trilogy in which radicalism, narcissism, violence and self-destruction were the themes of a shaky Roman empire. I married a communist was the perfect complement to the Pastoral and the symbol of an era (it was written in 2000) in which irony and skepticism were the most appropriate way to see the world. 20 years later, there will be someone who reproaches Roth for the pedestal from which he looked at the world, his status as a white, American, educated, heterosexual, privileged man ... And all that will be true but it will matter little compared to a few unforgettable novels.